es586731 - What are we working on - It's Spring!!! Stop by Mama Winky's in downtown Papillion! It's Spring! OK, well maybe it is still a few days away, but the temperatures have finally started to get above freezing, which is ridiculously exciting, especially considering I walk one of my daughters to and from school everyday - no more frozen eyelashes!! Wondering what I am working on? Well, I am trying to get back in the swing of things after a restful Spring Break. 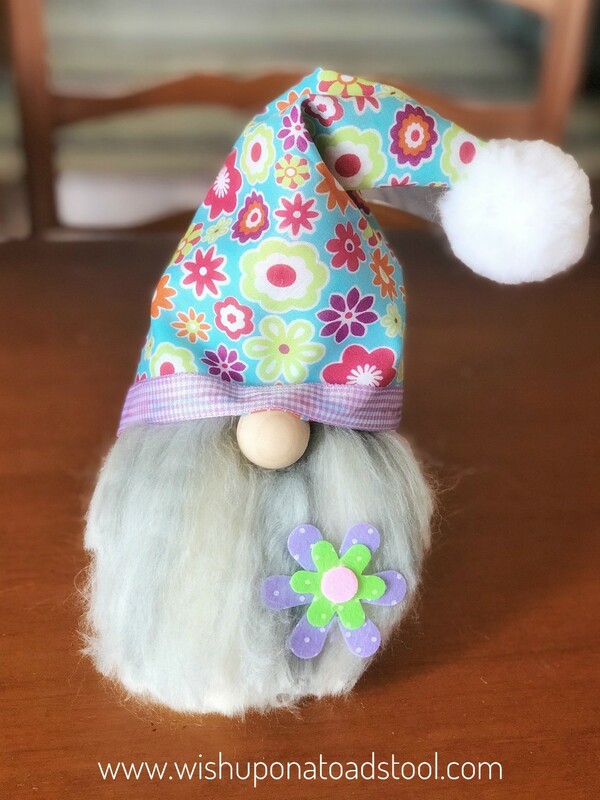 I have some adorable spring gnomes that I just released and are available in our store along with our bunny gnomes! ​I also made a spring time pennant for myself. I don't often make things for me, so this one was fun. 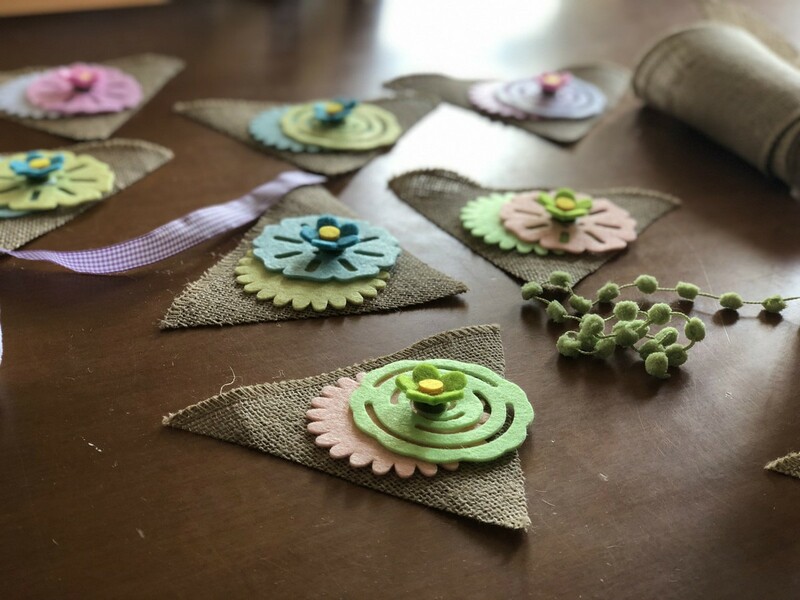 I found some super cute felt cutouts at Target (yes Target), cut out the triangles from burlap and used some spring flowers I had. Do you decorate for Spring or Easter? This will eventually hang on my fireplace.